The holiday season can be extremely difficult for many children in foster care, as they will not be “home for the holidays” with their biological parents and family. It is a time of the year that can be stressful and difficult because it is a painful reminder to these children that they are not with their own family. That is why the Annual Holiday Party is so important in bringing together 1,500 foster youth and their families together for a time to have fun and enjoy the holidays together with others just like them. Whether it’s taking pictures with Santa and your siblings or eating cotton candy for the first time, there is something for children of all ages. We are blessed to have a community of donors and volunteers to help put on this event. You can make a difference by donating services, goods, sponsoring the event, or volunteering. Come join us! 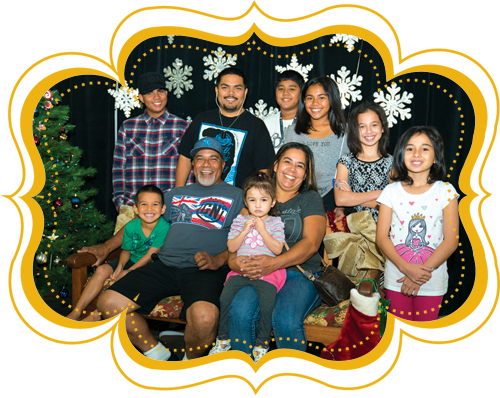 Santa is coming to Honolulu this December to bring smiles to the faces of children in foster care. These children experience trauma, separation and loss especially during the holiday season. It is up to us to help them make happy childhood memories of the holiday season with fun, laughter, family, and not feeling different from others. 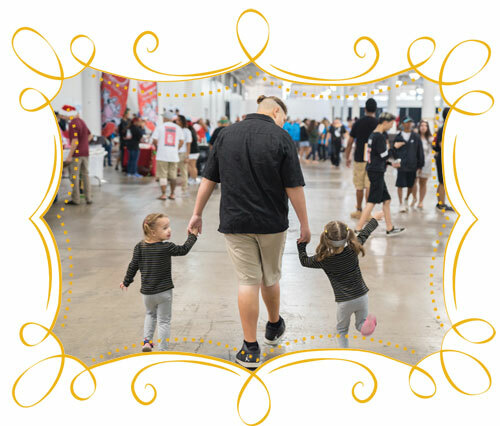 The foster care experience can feel lonely, so let’s make the holidays a happy one by helping us create a magical Holiday Party. 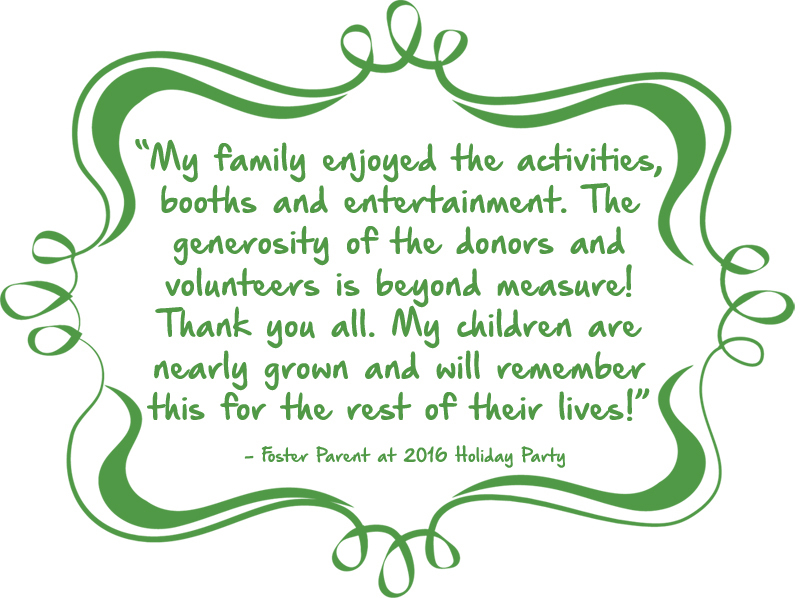 Let’s make the 20th Annual Holiday Party the best one yet! • Provide leadership by chairing a committee of the holiday party.